My young padawan Chatterbox has been on a mission to sneak up on me to scare the living daylights out of. So far it has been a total fail. I don’t scare easily. I use to be a school bus driver…I have nerves of steel. She was making a run for the front door because she thought I was a burglar. Chatterbox flipped around and fell on the floor in a heap, gasping for breath. I had given her the fright of her life. I love that feeling. Apparently, she does not. When I was young and regularly skipped school with my brother (Hi Mom!!!) we were deciding if this one particular day if we were going to skip school. The house was empty because my parents had already left for work, and ME being the responsible child, was to make sure my brother and I left for school on time. We were standing at the front door without our shoes on when we heard my dad cough. The hair on the back of my neck to up and I tentatively asked my brother if he heard that. His eyes were the size of saucers. I called out nervously, “Dad?? ?” The house was silent. My heart started racing. If it wasn’t dad then who was it? Sounded like the perfect day for me to go to school. So my brother and I grabbed our shoes and ran in sock feet all the way to school (we lived 3 house away). I can tell you that was one of the most frightening moments of my life. My heart was in my throat. The next time I recall being that scared I was travelling through Europe with the ex, who I lovingly refer to as Idiot Stick. We were camping in York. Earlier in the evening, we had gone on a ghost walk through the streets and back alleys of Olde York. Creepy doesn’t even begin to describe our host. The end of the 3 hour tour lead us to a dark back alley that smelled dank. Our host thanked us and warned us to be careful finding our way back because the streets were not safe at night for tourists. HA! – Creepy host, you can’t scare me. I know this is a line you always use. I am WISE to your tactics! Idiot Stick went for a shower and I was getting some gear out of the boot of the car (trunk for those of you who are not as international as me). Out of the corner of my eye, I spotted what I thought to be a blue bag rolling towards me. When I looked at it head on, I realized it was not a bag because it was transparent. Then I figured it was a reflection so I waved my hand trying to refract the light. It kept coming towards me. It then stopped, turned and rolled through my tent. HOLY HELL! What was that thing? 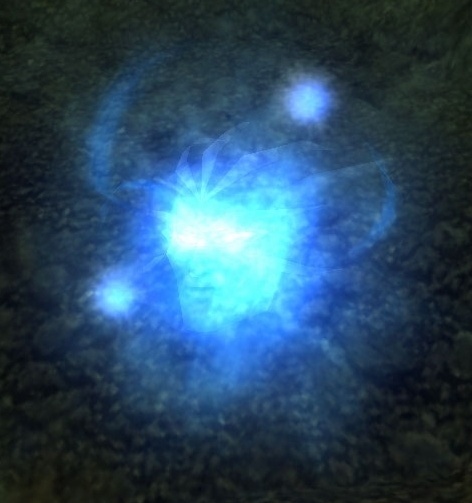 (I have since learned they are common sightings called Whisps) Whisps are known to lead travelers to a save place. IT WENT IN MY TENT! I went in my car. I was too scared to go anywhere near my tent. Idiot Stick returned, I told him the story and he proceeded to laugh at me. I crawled into the tent and laid there WIDE AWAKE until sunrise. I promptly sat up and packed up the tent – which is shocking for anyone who knows me. I enjoy a long lie in when camping. Something about the warm sun on the tent making me feel all cozy until it is too hot and I seek the cooler air outside. Well, I didn’t even wait for breakfast. I packed the car and said I was leaving with or without him. I drove far away from York as fast as I possibly could. I have NEVER been that scared since. Not even when I saw a Blue Lady standing at the end of my bed in Scotland – yes I was scared. Yes I felt her touch my feet. Yes I slept in the car that night. But by then, I was use to Great Britan scaring the crap out of me and I started to like having the scared heart pounding feelings. Chatterbox needs to work on her scaring skills if she thinks I will get a fright from her. Now that Halloween is coming, maybe I will go on a ghost walk in Old Strathcona or come upon another Whisp that will scare the living daylights out of me. But until then…she has work to do. I love real-life ghost stories like this one! Blue whisp, huh? I’m still trying to figure out my own encounter with a glowing ball of light that floated through the house before shattering into a hundred pieces and disappearing. True story, that.